Fort Lauderdale, FL – The price of gas did an about-face this week, after three weeks of declines, according to the U.S. Energy Information Administration, which reports the average national price for regular unleaded shot upward over five cents per gallon in the past seven days. 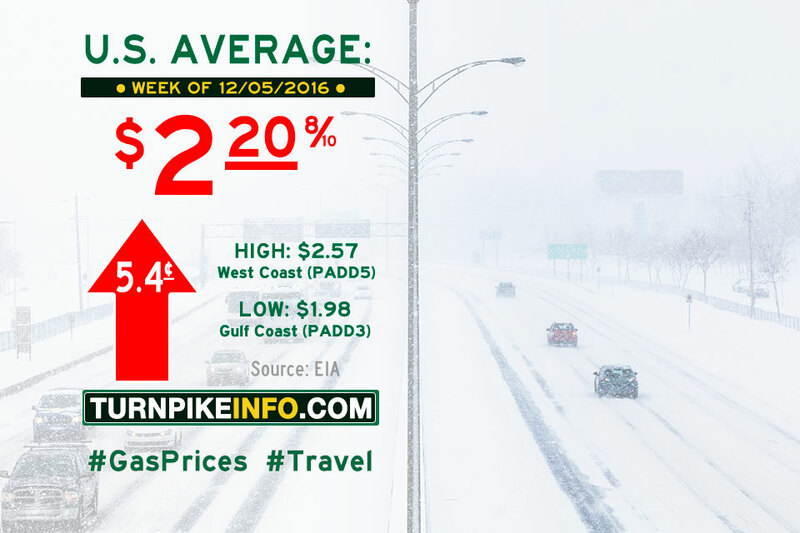 The national average is now nearly $2.21 per gallon, up from about $2.15 just a week ago. Several regions had prices lurch upward as much as eight cents per gallon. In an unusual trend, California, and the broader West Coast, enjoyed a decline in gas prices. The cost of diesel jumped this week, as well, according to the E.I.A. The E.I.A. reports the national average cost of diesel surged six cents per gallon and now stands at $2.48.